Frank, first let me say this is again another great article. 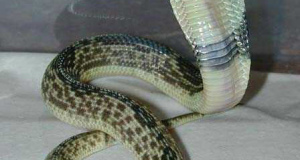 I was or am under the impression that Duvernoy’s Gland is no longer used as according to Dr. Bryan Grieg Fry of Venomdoc.com it has now been understood that the Duvernoys gland is now an abandonded term due to the recent works in reptile toxins. I would be interested to hear your thoughts on this. I’ve also heard and read that Garter Snakes can and do cause symptoms in humans albeit rare. Do you have experience in that area? I hope all is well. Thanks for the kind words and heads-up. I have not seen anything on point published in the major journals, and AMNH still using term in recent temporary exhibits, but will keep an eye out…common for similar proposals etc to float around for a time before being decided on or definitively accepted. Certainly anything from Dr Fry should be given close attention. How do you feel about hognose snakes? These are commonly sold in pet shops and reptile shows but for the most part are extremely docile and make wonderful pets (we adore our hognose). Of course they may be an exception to the rule … Side note- I’ve started seeing Mexican Beaded Lizards for sale at CA reptile shows… Probably also not a good idea. Rock on Frank! Keep up the great articles! Here in Japan, there is a rear-fanged snake, the tiger keelback (Rhabdophis tigrinus), which was not known to be venomous until the early 1970’s. It has since accounted for several fatal bites. 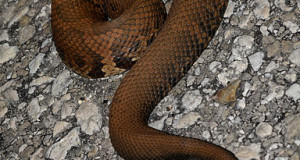 This snake also has an external venom gland that produces a defensive venom in the manner of toads. Conversely, the Japanese keelback (Amphiesma vibakari vibakari) was traditionally believed to be deadly, even though it posesses no venom glands. Thanks very much for the interesting post. Several Rhabdophis species shoed up in the US trade in the mid-80’s (I cannot recall species now) and some severe reactions to bites resulted. Western hognose snakes have not caused any notable reactions as far as I know, and are reluctant to bite in most cases. I haven’t looked into the properties of their venom. Easterns are toad specialists and not generally kept. 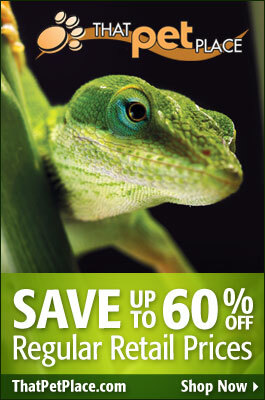 They produce a venom that seems to target toads specifically. Bearded lizards are venomous but are treated very casually by keepers, as are Gila Monsters. They should not be kept outside of zoos. There is no antivenin available and contrary to popular belief, gila bites have caused fatalities (I haven’t looked nto beaded bites, but likely the same). Please see this article on gilas. Frank, my issue with your article is that you make a blanket statement that Rear Fanged don’t make good pets. This not only includes the range of potential danger from the snake, but the variations of skills and abilities of the keeper. 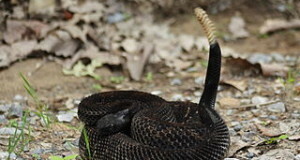 “Rear-Fanged” ranges from Hognose snakes to Boomslangs. You might as well say “Constrictors” don’t make good pets as that encompasses just as much range of potential risk for the keeper with House snakes to Anacondas. Some can kill, some can’t, some could cause minor problems or reactions. Rear-fanged snakes do require special consideration as a buyer or seller. I won’t sell to anyone with a history of significant allergic reactions or one who doesn’t have significant experience with keeping captive snakes. My rear-fanged snakes that I have kept have been fantastic pets, but I’ve never bothered with twig snakes or boomslangs… because that would be silly to think they are similar in risk to Mussuranas or Hognose snakes. Please note: the remarks in your comment that were personal in nature have been deleted; in the future, comments containing such will not be posted at all. Unfortunately, sellers are not in a position to evaluate a buyer’s medical history, etc. “Until we learn more about them, rear fanged snakes are best considered as suitable for display in zoos rather than private collections. Tentacled Snakes (Erpeton tentaculatum) and certain others may be an exception, but I advise consulting a herpetologist and an experienced medical doctor if you feel compelled to acquire a rear-fanged snake of any species”. Great to see this topic get some coverage. Dr. Fry has been great to share information on which species he regards as the most likely to be dangerous, but my understanding is there are a lot of species for which not much information exists yet. I also read a book by a guy named Weinstein which had some good information in it, too. I am picking up some rear fanged snakes next year but its a species that is known to be totally harmless and not even produce local reactions so we’re talking safer than a garter snake!